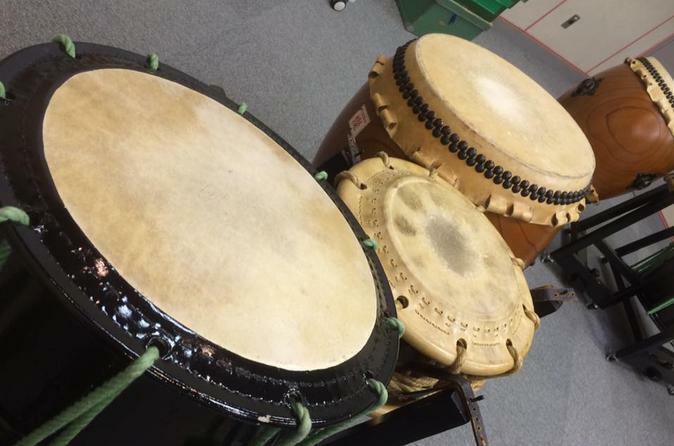 Would you like to learn to play a Japanese drum "Wadaiko" by yourself? This course is perfect for a family and a small group. At the end of the lesson, you will play one song together. "Wadaiko" is the traditional drum in Japan and is played during many festivals in Japan. The sound of the Japanese drum is so powerful that you will feel it all throughout your body. Recently, Taiko lessons are popular among women as a form of physical exercise in Japan. Please come wearing comfortable clothes and shoes for this lesson as this class will also be somewhat of a workout. This lesson will be taught by an instructor with limited English. Unless you choose the option with an interpreter. With the interpreter plan, everything included in the regular lesson will be provided with a professional interpreter of the language of your choice. There will also be hotel pick up from your hotel or accommodation by a professional interpreter.